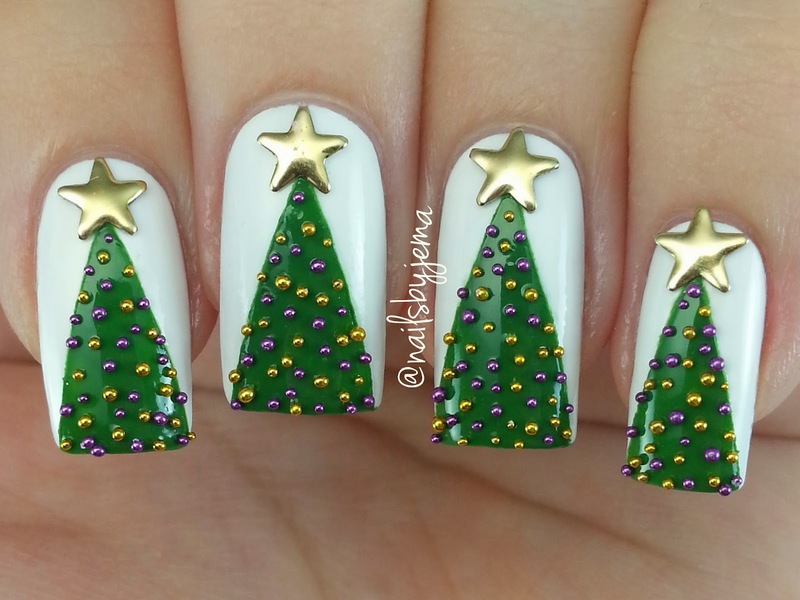 I did them to match my Christmas tree! 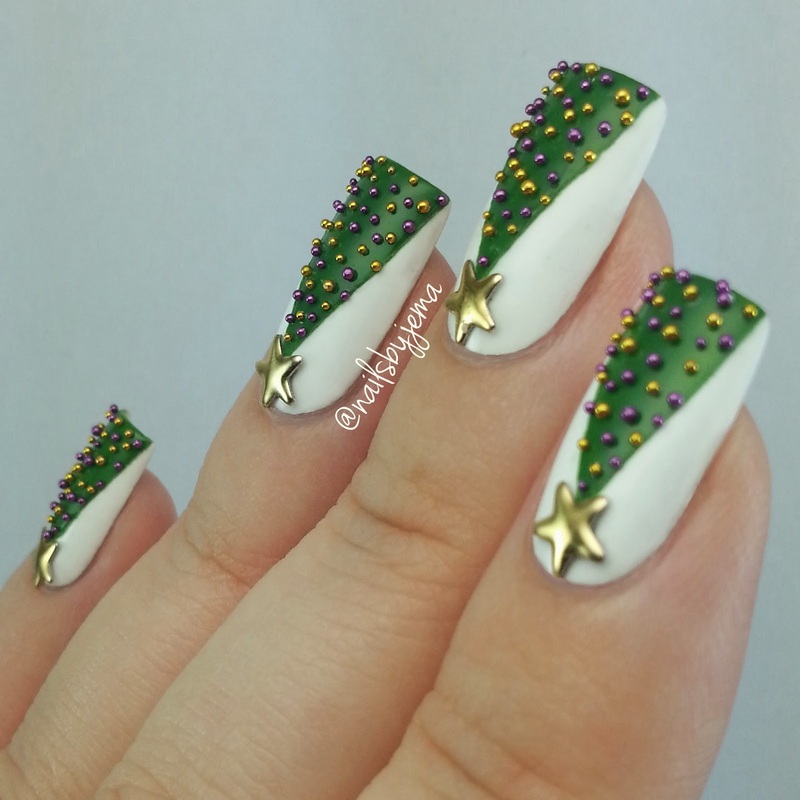 I used OPI 'Alpine Snow' & Sinful Colors 'Exotic Green', then decorated it before it dried with caviar beads & star studs from eBay in my Christmas colour scheme from this year.. Yes, it changes every year. Add a top coat to keep the beads in place (I didn't do that for the photo as I wanted the beads to be more visible). 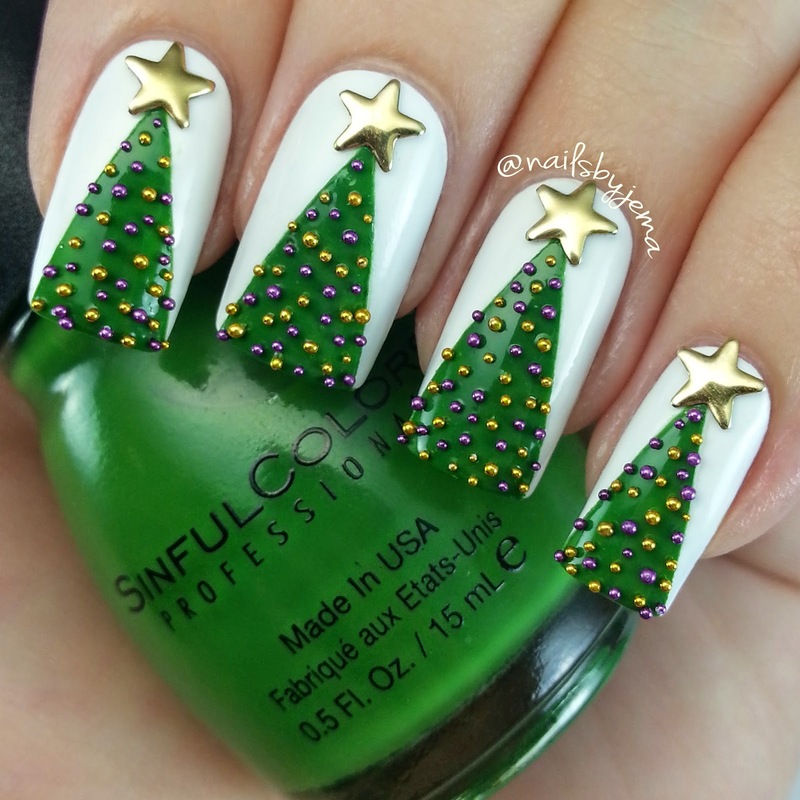 This is easily a mani you can do if you have no tools and are a beginner :) just make sure your base colour has been top coated before adding the tape. 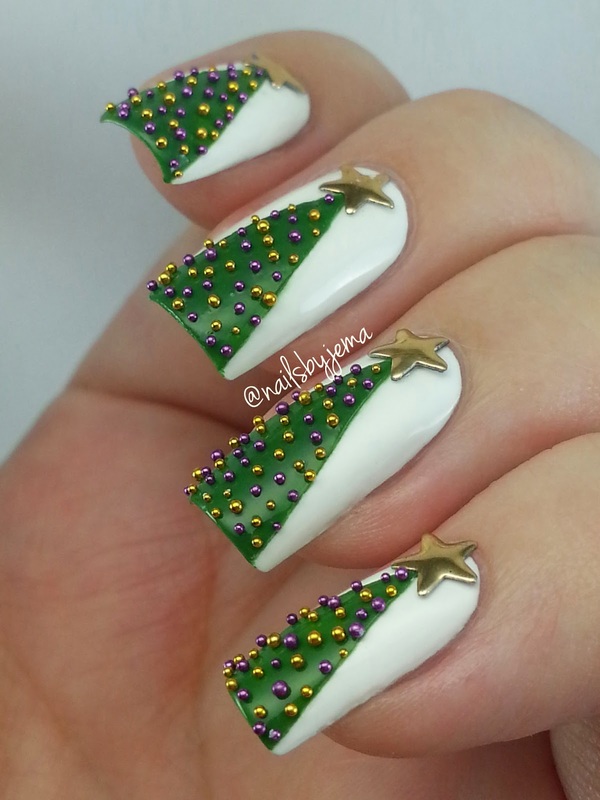 If you don't top coat the base polish, it will be pulled up with the tape when you remove it. The tape is painters tape from my local hardware store cut into strips. I added the caviar beads and star studs with a wax pencil. They are great for picking up studs and rhinestones but if you don't have one, tweezers work fine. Song is Sam Smith - Have Yourself A Merry Little Christmas.